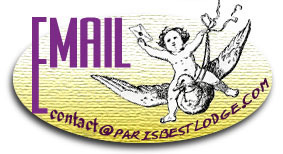 This famous little place is the heart of St-Germain des Pres left bank "chic adresse". All around, you will find many prestigious stores of design, materials, decoration and antiques. Many artists have painted this romantic Place. You will find there the Musée Delacroix. This Musée is where the artist lived and worked from 1857 until his death in 1863. the renovated and enlarged museum holds changing temporary exhibitions of Delacroix's work (consult Pariscope for details). Displayed here permanently in the painter's old apartment and studio are a few of his watercolours, a self-portrait of him dressed as Hamlet and some graphic paintings of a lion hunt. Delacroix's major work is exhibited permanently at the Louvre and the musee d'Orsay, and you can see the murals he painted at nearby St-Sulpice Church. Musee delacroix, 6, rue de Furstenberg. Daily except tuesday 9h30-5h30pm. 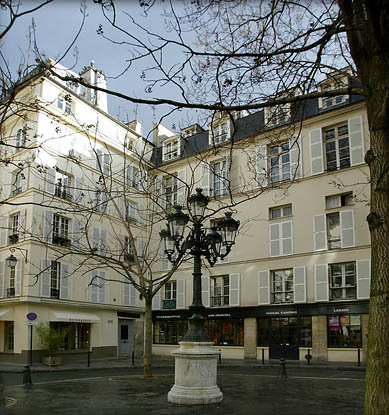 From the Place de Furstenberg, you are two blocks away from Studio Saint-Germain and Studio Mazarine.